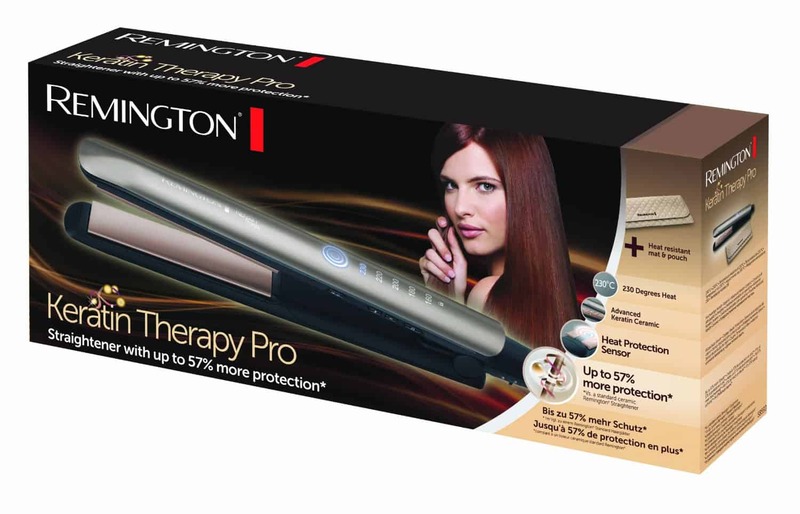 If you’re looking for a reliable straightener for thick hair, then the Remington S8590 Keratin therapy pro straightener can be a very good product to focus on. Aside from the fact that it comes with a very appealing price, the product actually manages to deliver an interesting set of features and it’s just a great pleasure to use right from the start. It’s also important to keep in mind that while the design is plain and simple sometimes this is what people are looking for nothing to fancy. The value of this product is very good and that’s one of the main things that manages to set this product aside of the competition. 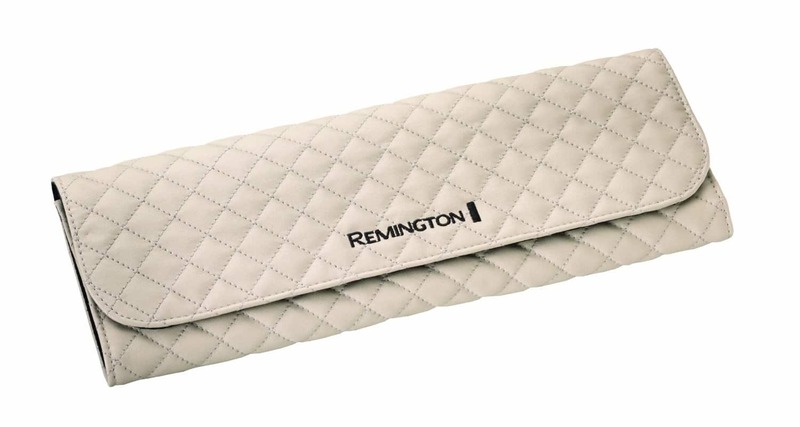 The Remington S8590 Keritin therapy pro straightener has ceramic coated plates and these are actually infused with top quality keratin based micro conditioners which is a very unique feature. 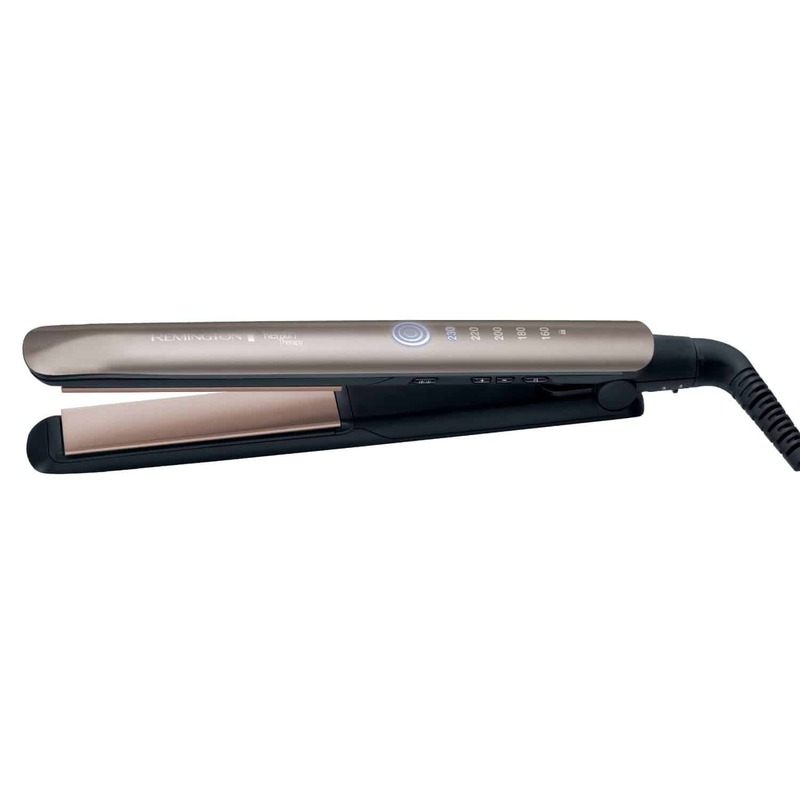 These features mean this straightener manages to deliver a very good experience, making the outcome well worth it. These conditioners transfer to your hair follicles as you style it which makes sure you keep your hair in great condition and prevents any damage to your hair as it avoids any snagging or pulling to your hair. This straightener focuses on making sure there is no damage caused, making it one of the best hair straighteners for thick hair that you can find on the market. Sure, this is not a hair treatment by any stretch but it is a very good product and it manages to bring forwards a very product for very good value. The attention to detail is amazing and the overall display of controls work seamlessly. You have quite a bit of customization when it comes to this model which is great. The attention to detail is impeccable and having a variety to choose from which is what matters the most for sure. Since the product has a very fast heating up process (15seconds), you won’t have a problem using it when you’re in a rush. The long floating plates make it very easy to straighten your hair and you don’t really have to apply any pressure which is something we liked quite a lot. The product is designed in order to deliver an all-round amazing experience and using it is just a lot of fun to say the least. It great to know that Remington have consider your safety whilst using this product by making sure it has an automatic switch of system so if you haven’t used it for 60 minutes it will switch off automatically. It also comes with a heat proof pouch to make sure you don’t burn yourself when you have finished with them. The heat protection sensor embedded in the top plate continually detects moisture levels in the hair and optimises temperature, to deliver up to 57 per cent more protection from damage and breakage vs a standard ceramic Remington straightener. This does tend to make it very professional and fully reliable at all times. It does a great job when it comes to offering a great protection to your hair. The Remington keratin therapy pro straightener is easily controlled by an integrated digital display with 5 settings, 160-230 for the ideal temperature for your style and hair type. This is a great feature to have as it means that not only is it suitable for the thick hair we are searching for but also suitable for anyone with thinner and finer hair types. Really good product, easy to use and heat up really quick. Even manage to keep my hair straight for two days! Having the different heat setting is great depending on how crazy my hair is being that day! The price of these straighteners are currently £42.33 down from £89.99 so available for a great offer over half the price. This is a great price for this particular product which all the integrated features and the detailed design. 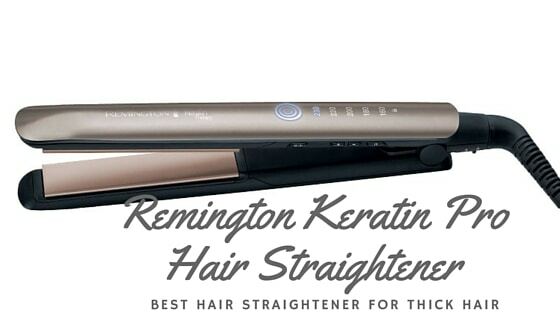 Overall, Remington S8590 Keritin therapy pro straightener is a solid hair straightener. The features you have here are very advanced for a model at this price and overall you just can’t ask for more from this model! So go ahead and give it a go.